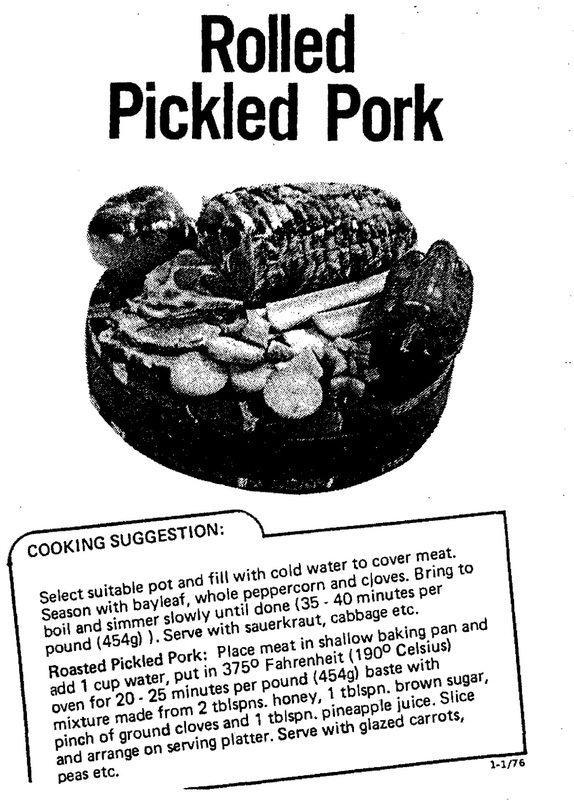 After finding the recipe for the Pumped Leg of Lamb I was reminded of another cold meat specialty of Mum’s – Pickled Pork. Like the lamb you don’t see pickled pork ready made any more and you’ll have to ask the butcher to prepare it for you. It’s treated the same way as the lamb and corned beef, pumped with brine and basically you cook it the same way. If you want to modernize it you could cook it in a slow cooker. This entry was posted in All Recipes, Main Dishes, Pork and tagged 1950s, bayleaf, cloves, corned beef, peppercorn, pickled pork, pork, pumped leg of lamb by bebsrecipes. Bookmark the permalink.